I just received a new strap from the folks at Italia Guitar Straps and was pleased by the high quality materials & craftsmanship. Coupled with the excellent prices & great customer service I’ll be a customer for life! Wonderful Brazilian player Yamandu Costa, guitarist and composer on the Brazilian seven-stringed nylon guitar. Here’s a great video of a “Joe Pass” lesson from the 80’s. Here’s an interesting Biography by Michael Spörke. His new book “Big Mama Thornton. 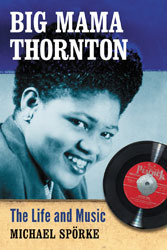 The Life and Music.”, the first biography about Big Mama Thornton, will shortly be available. It can be pre-ordered via the publisher (see the link below). When Michael was researching his book he contacted me & we spoke about Big Mama Thorton. Back in the 70’s I played lots of R&B with Bib Joe Turner & Edddie “Cleanhead” Vinson. Big Mama would regularly stop by the session on Saturday afternoons at Cleanheads’ gig. Michael included some of our conversation in the book. I’m looking forward to a good read! Categories: Jazz Guitar News - Tags: "Big Mama Thornton. The Life and Music." Here’s a great version of “You Stepped Out of a Dream” The Video quality is poor but the audio is fine. The interplay between Jim Hall & Barney Kessel is awesome. Recently I had the good fortune to meet Jim D’Addario at one of my performances in the Palm Springs area. 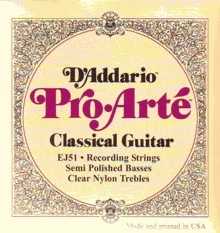 Jim was kind enough to put me in contact with George Santos, Product Specialist at D’Addario who provided me several samples of D’Addario string products. So far I’ve tested & shared two of the products that we decided on with several students. I first started using the Chromes back in the 90’s. At that time I played my Gibson ES-175 exclusively & opted for the Jazz Light set. EGC24. (.011 – .050) I customized that set by replacing the 1st & 2nd strings with a heavier .012 & .016 respectively on the 175 as I prefer the thicker sound. I have a heavier touch so the .011 & .015 were a bit light for that guitar. These days I’m playing a Gibson Wes L-5 model, so the 12-52 Light Gauge set as packaged did the trick. Back in the day, I had experienced issues with the wound G but happy to report no problems now. Overall I’m pleased with the results & after speaking with several of my students who tested them as well, we unanimously rate the Chromes at 5 stars! They have a great feel & precise thick tone. If you haven’t already tried them you will be glad you did! I had tried the Half Rounds in the past on my 175 but gravitated to the Chromes. After I started playing the Wes-Mo L-5 (single Humbucker), I picked up a vintage 335 for R&B, Blues Gigs, & the occasional dance gig. When I play the 335, I’ll often slip into BB King mode & the The Half Rounds really do the trick! BTW: I did change out the 1st & 2nd strings to a .011 & .015 respectively to make life a bit easier. The Half Rounds really ring out with a clear bell tone that doesn’t sacrifice the round sound I prefer. When you select the 2 pickup mode the 335 really cuts through in a R&B horn band. (Using a Fender 65′ Twin Re-Issue) As with the chromes, nothing but praise from the students that tested demo sets. 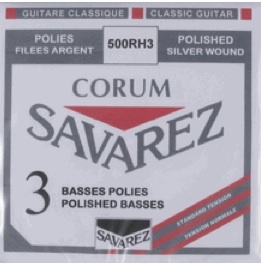 Bottom Line: For an all around string go with the Half Rounds but if you plan on mainstream Jazz or have a dedicated axe for Jazz you will likely prefer the Chromes. Dans’ gifted student Alex Ciavarelli performs at the prestigious Kyoto Symposium in San Diego, CA in March 2013. Hi Dan, So far so good, just have to set aside some time to really dig into this, but I like the videos a lot and it helps to see it in different keys. Thanks again for putting this piece up – a wonderful tune and great jazz guitar learning experience. I’ll let you know if or when I run into any roadblocks. Hi Dan, I really love your Skylark course. I am now learning jazz guitar for 2 years, starting with the girl of Ipanema in 2011, April 17th !! 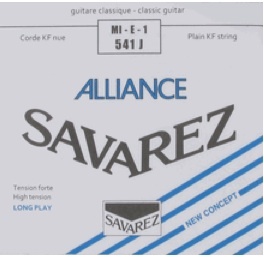 My guitar playing made a wonderful progress since then – with lots of fun. I certainly will keep on going. Why not test drive one of the SixStringJazz classes today & see for yourself? Here’s a great video featuring the trio of brilliant Dutch Guitarist Jesse Van Ruller. Great sense of rhythm & dazzling technical facility. Reminds me of my friend the late great Billy Rogers! My old Boss & Pal Johnny “Hammond” Smith is still cookin’! Johnny’s widow Cheryl Smith is in the process of releasing some of Johnny’s music that hadn’t been previously released. Cheryl has organized a Kickstarter project. 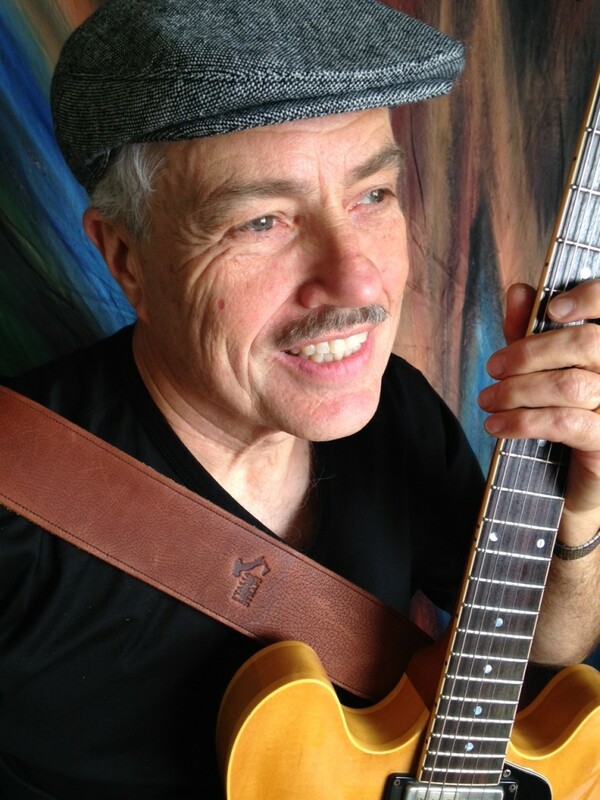 It’s a great way to support a worthwhile cause & get some groovin’ Johnny Hammond sounds! Check out this cool new site that features sheet music for many of the popular “Real Book” tunes plus sample recordings to accompany each chart. A great resource to get a feel for the tune you’re working on. Enjoy!